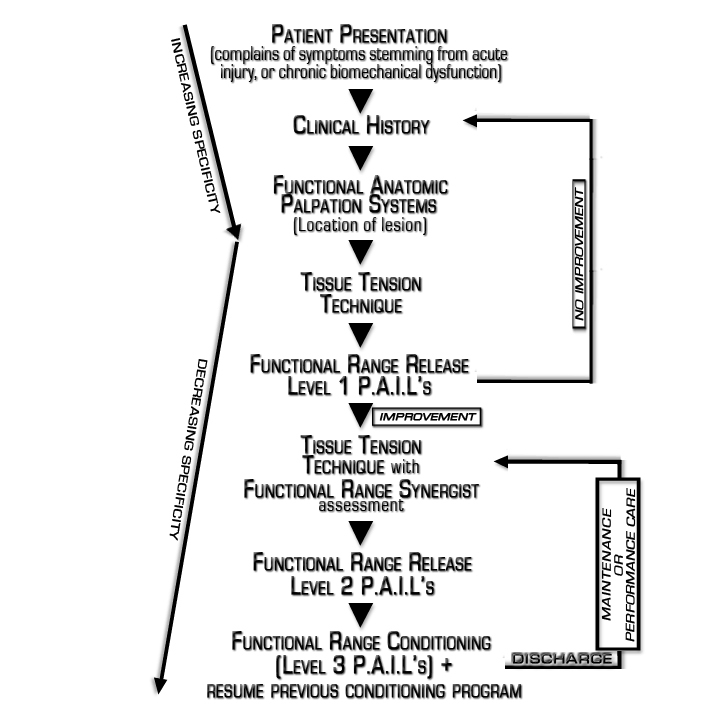 One of the main factors that sets Functional Range Release ® apart from other modalities is the fact that it offers a complete patient management system including assessment, diagnostic, soft tissue release, rehabilitative, and conditioning interventions. Below is the F.R.® Patient Management flow chart™ which demonstrated the strategy employed by F.R.® certified practitioners when managing a patient. The diagram is accompanied by an audio file to walk you through the system.